Wearing locs is great, and one of the best things about wearing them is low maintenance! When I say low maintenance, I mean almost no maintenance. I get my roots interlocked (retightened) every six weeks, and try to wash my hair every ten to fifteen days. I may miss a wash day here and there, but I ensure to have my retightening done on a regular basis. Another low maintenance perk is product usage. Locs can be maintained with shampoo, water and oil 90% of the time. I suffered a devastating experience with breakage (due to low iron) in 2015 when I colored my hair just before discovering I was pregnant with my second child. I haven’t given up on color, but I have started to include products to help strengthen and maintain moisture in my locs. So far, all of the products that I’ve used have been for loose natural hair. Both of my daughters have loose natural hair, so their haircare products are easily acessible. And while locs are a form of natural hair, they aren’t loose strands of hair, and mine are colored treated, so there are some products that can work for me and others that simply won’t. 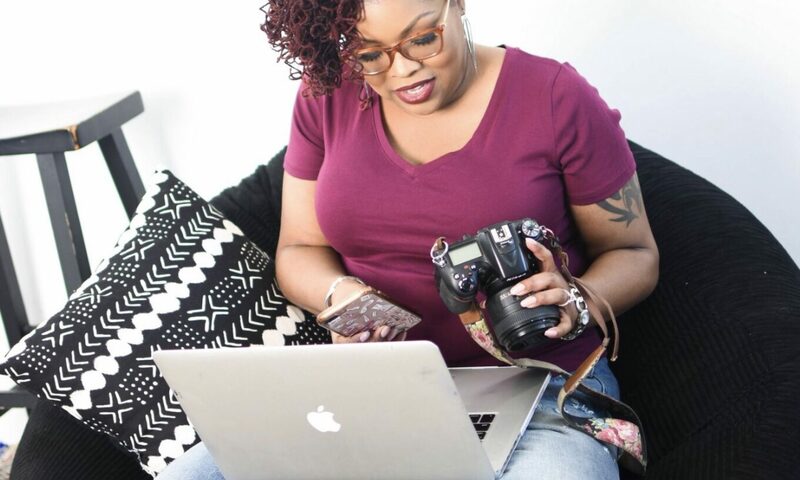 Even though I’ve branched out and added some additional products to my routine, my scalp still felt dry and itchy, and my locs still looked dry and frizzy. I finally got my hand on a brand that I’ve had my eye on for a while, MORE LOCS! The first things that I immediately noticed about my hair was the SHINE! After using the product for about a week -OMG! Like, for real! More Loc debuted earlier this year (2017), the line features over ten products made to give your locs More moisture, More shine, More growth! Because one of my biggest scalp and hair issues is dryness, I selected two items to help me with that. 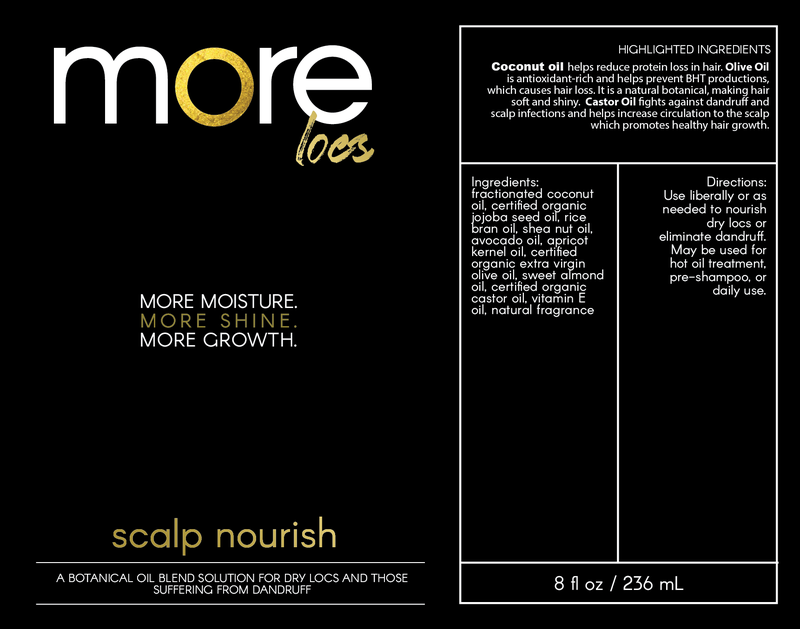 The Scalp Nourish oil feels like heaven on my scalp! I like that it’s not as thick and heavy as some other oils that I’ve used in the past. It’s easy to distribute, it absorbs into my scalp and locs, and it smells like tropical heaven! 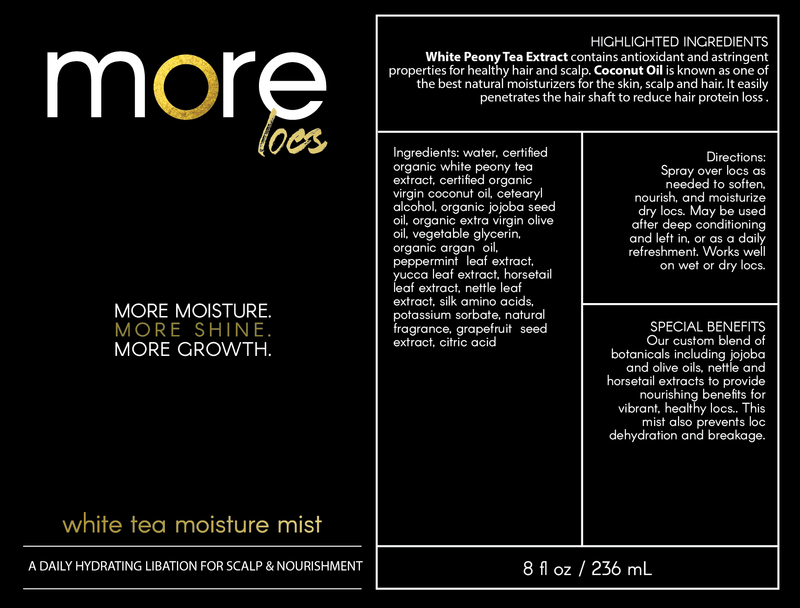 I use the White Tea Moisture Mist daily. It adds moisture to my locs that I can see, and feel when I touch my hair. My locs feel less brittle and the added moisture brought more life into the color of my locs. The products didn’t just sit on top of my hair nor did it absorb into non-existence like I’d never used it. My scalp and locs feel nourished and moisturized. 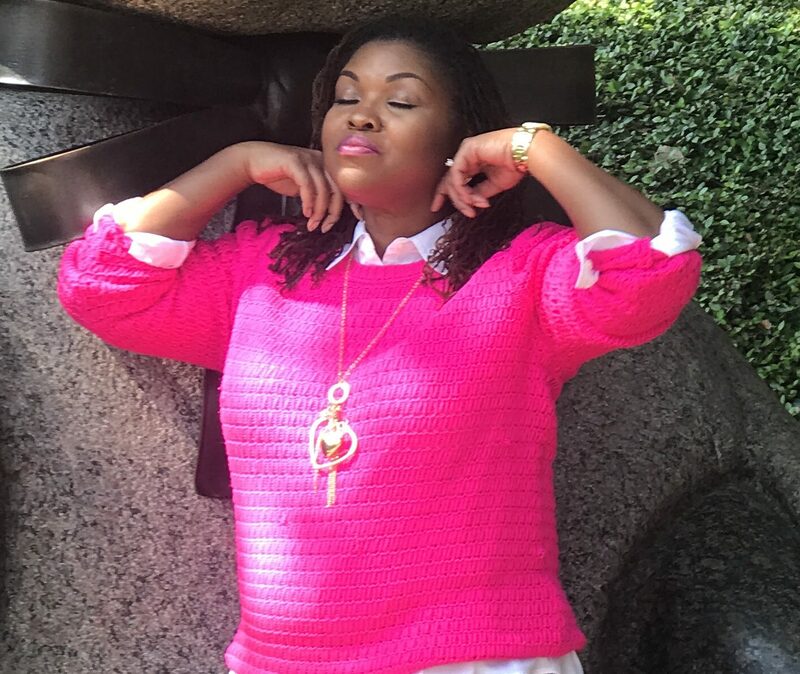 Not only does my hair and scalp look better, the added moisture has also helped eliminate some of the frizziness I was experiencing with my locs. More Locs offers products ranging from cleansers to oils and serums. Find out more about More Locs on Instagram at @More_locs. Next on my list of things to try from More Locs is the Herbal Cleanse (shampoo) and Loc Silk (conditioner). Have you experienced More Locs? Tell me your favorite product within the line and why you love it!